The mysteries of the East are ever alluring and no less so when it comes to the far corner of the Himalayan with its hidden veils of waterfalls, painted hills, river dolphins and green gardens of Assam. 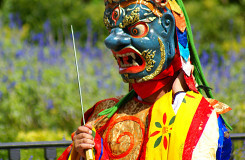 The ancient world of mountains tumbles to meet the water and the villages remain untouched with bright elaborate festivals brimming with feathers and the beating of drums. Presidential Private Jet Vacations can show you the world beneath the mist, where the mountains of Meghalaya rise above the clouds, the lake palaces glitter under a golden sun and the markets overflow with sweet scented spices and the rich aroma of coffee. 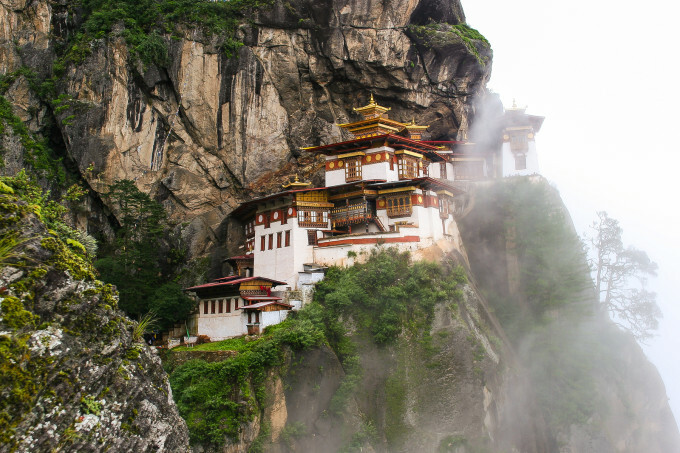 From the crush of Kolkata to the beauty of Bhutan, step away from the masses and immerse yourself in Himalayan beauty. 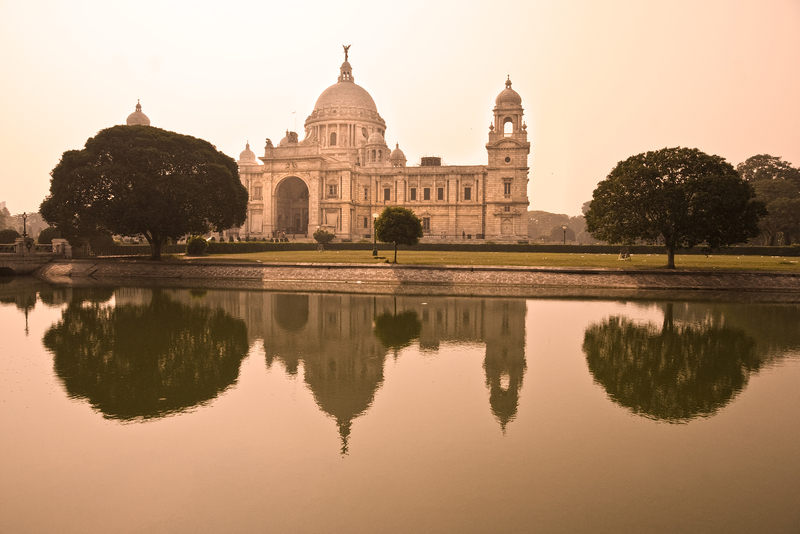 After an overnight flight in the comfort of your own private jet, start your luxury adventure in mysterious Kolkata, a city over oozing with spices, palaces, people and culture that is sure to leave you breathless. Known as the city of joy it is hard to suppress a smile when wandering through the streams of color at the Mullik Ghat flower market. 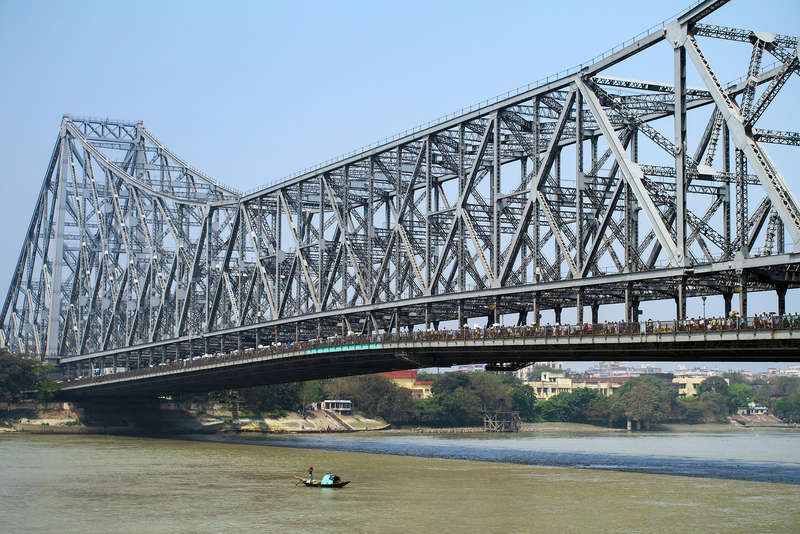 The river Ganges ebbs and flows through the city and in the hazy dawn of morning you can see the locals bathing or lighting their funeral pyres upon the banks. 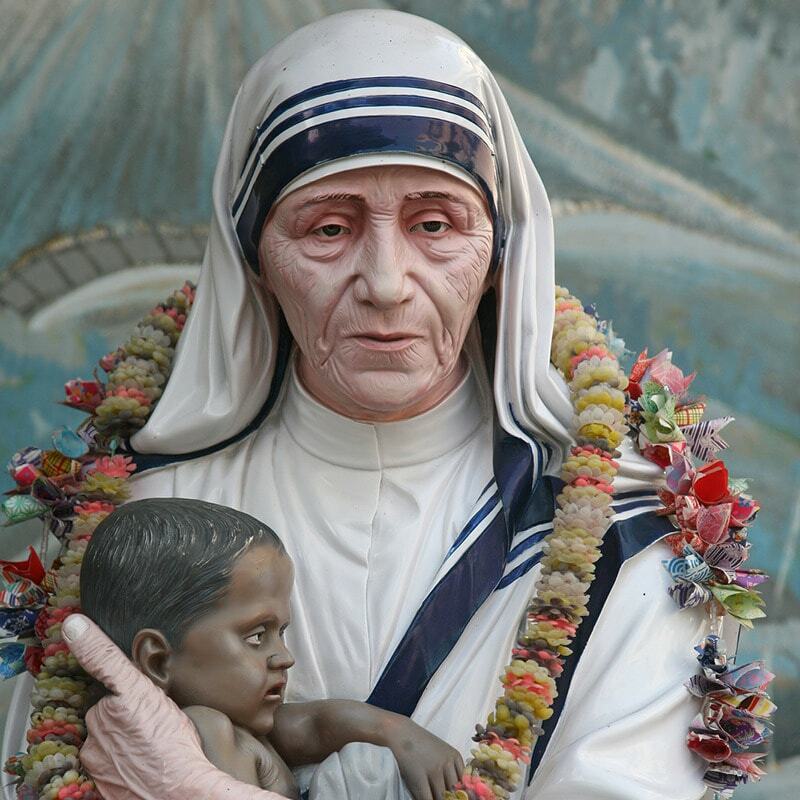 The Mother Teresa house is a must for those who wish to bow their heads in admiration and witness the frugality of her few personal belongings. New Market is an explosion of sensory delights crammed with silver finery, fresh cut orchids, sizzling street food and swathes of silk. 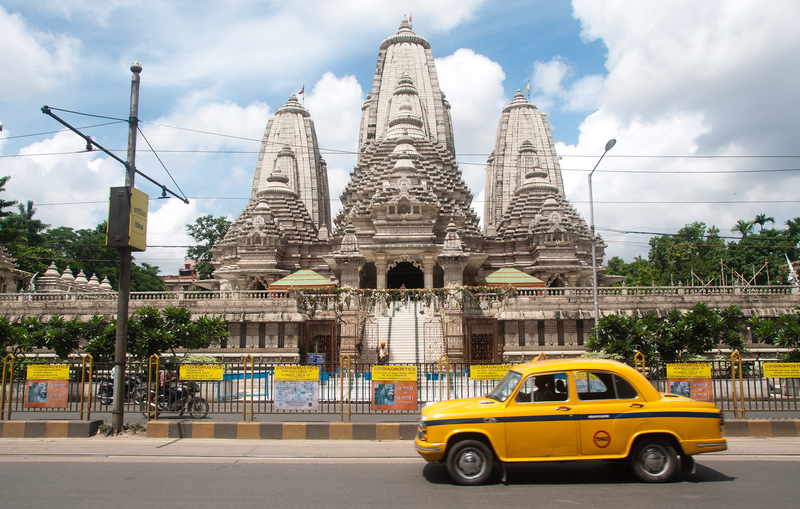 After exploring the nooks and crannies of the bursting city you can admire the many temples and palaces that adorn the close knit streets. 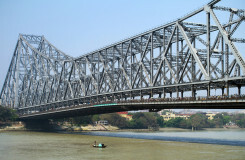 The charm of Kolkata lies in her series of sharp contrasts, where lofty palaces shimmer and poverty strikes hard, yet for the culturally adventurous and those who want to walk in a city brimming with feeling, Kolkata is a rare gem. Leave India behind as you swiftly make your way to Nepal aboard a luxuriously appointed private jet. 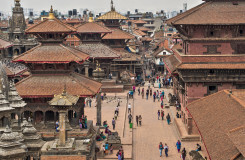 Exquisite panoramas, lake cities and the highest peaks in the world make Nepal a sought after spot for nature lovers and those who love to wander through landscapes carved from fairy tales. In this world of rising peaks, turquoise waters and sacred valleys you will be swept off your feet at every turn. Watch the skies flood with feathers at the Koshi Tappu Wildlife Reserve; lose yourself in the rich ornate temples that decorate Kathmandu and find sheer serenity and the secrets of the ancient world in the tapestry of the Himalayas. This is your chance to discover the birthplace of the Buddha beneath the branches of Lumbini, to ride elephants beneath the rising spires of mountains and to discover forgotten towns clinging to the tumbling mountain sides. 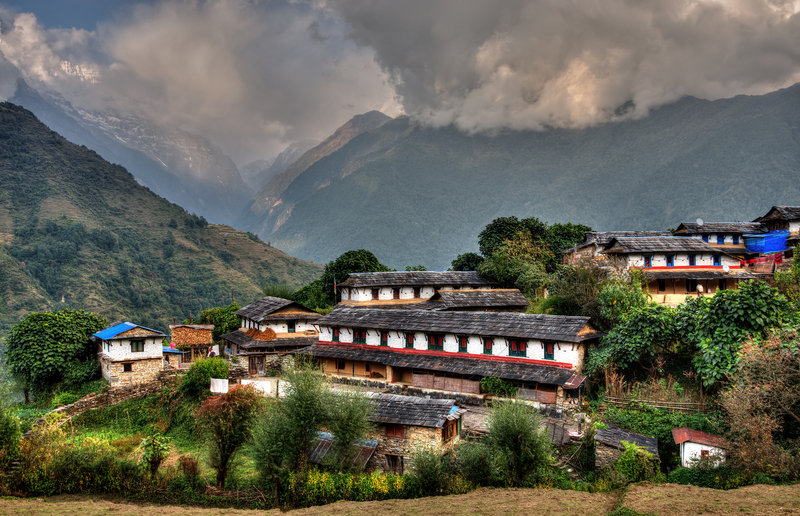 Nepal is something different and the perfect playground for those seeking to dabble in adventure, challenging hikes, wild river rafting, trekking the last Bengal tigers and paragliding over a landscape of sharp crags, deep cut gorges and a plethora of green, makes Nepal a dream come true. Still with one foot firmly in the past, Bhutan manages to protect its soul every step of the way when it comes to the modern world. 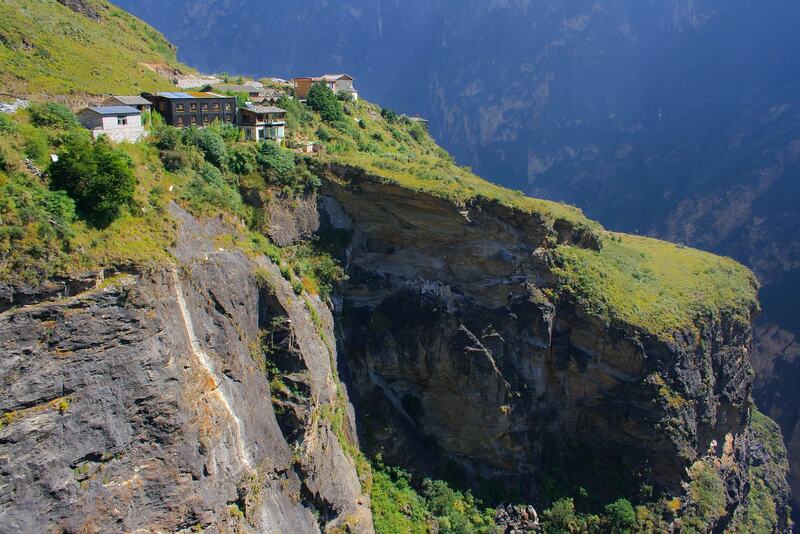 Hailed as the last place on earth to still shake the Shangri-La spirit you can see the Taktsang perched on vertical cliffs, see the powdered white peaks said to be swarming with spirits of the old world and discover a wealth of artisan crafts treasured and practiced since the 15th century. 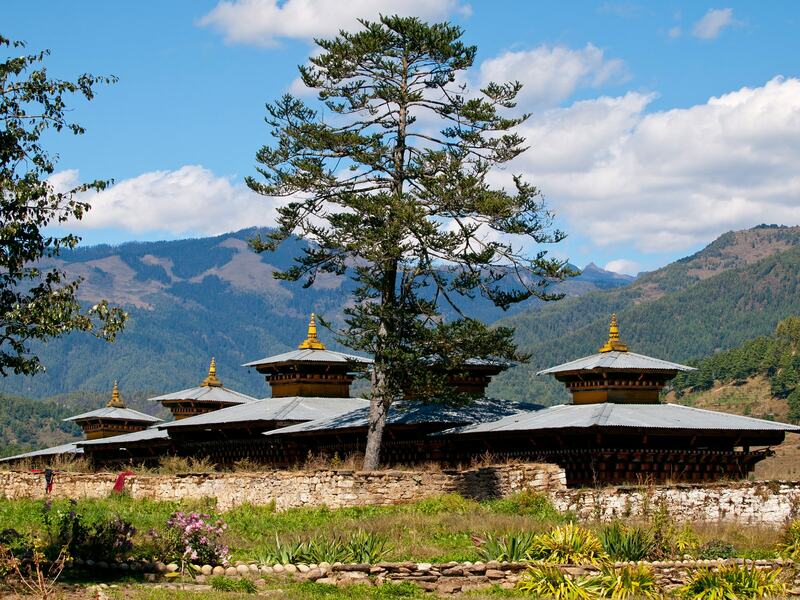 Meditation retreats are a way of life in beautiful Bhutan and the very essence of calm can be found drifting through the villages and rolling down the mountainsides. 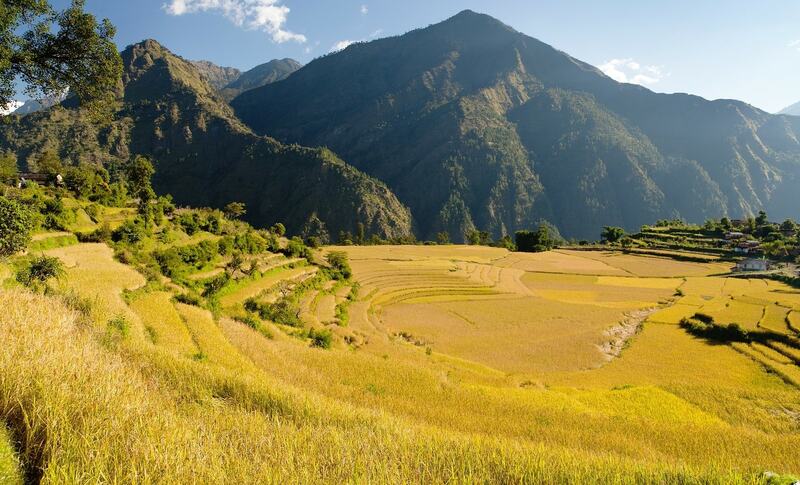 The deep Paro Valley is a fine place to breathe in the floral beauty of Bhutan with its bright meadows framed by lofty Himalayan Mountains and its exotic dishes doused in the fire of spice that is a trademark of Bhutanese cooking. The spiritual haven, the remote wilderness and the glorious sights of one of the last remaining ancient worlds is an experience you won’t forget in a heartbeat. 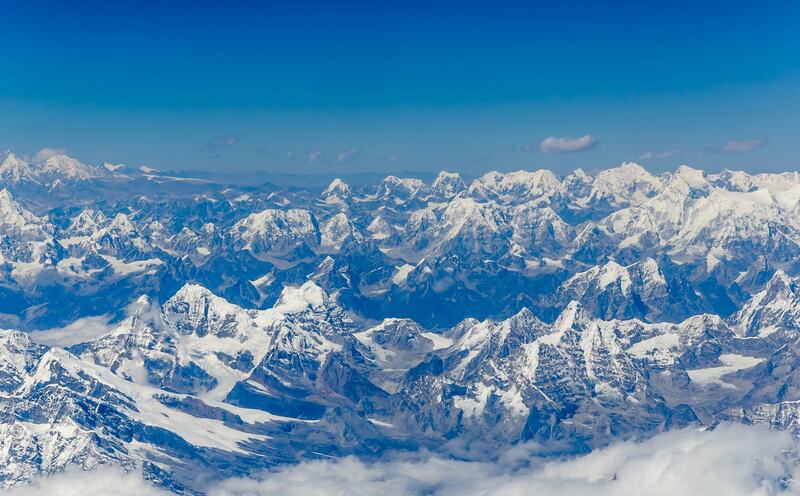 Touch down on the roof of the world to unravel the enigma of the Himalayas. 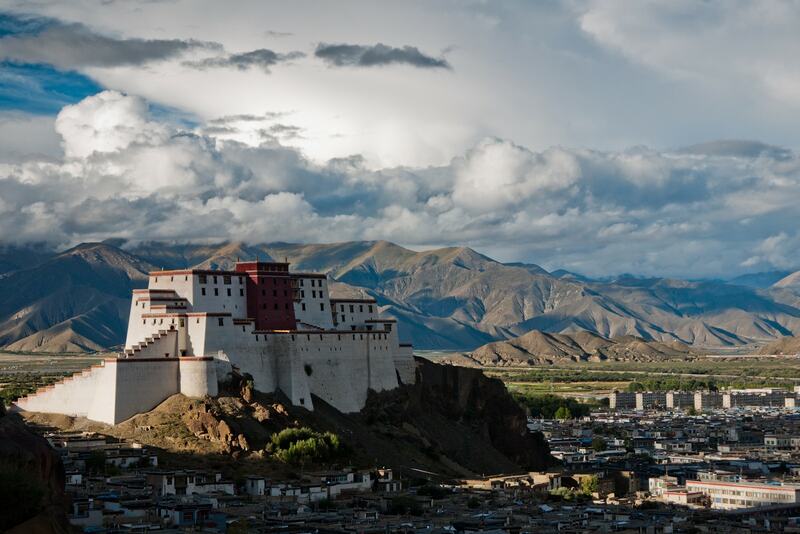 Tibet is a taste of the true exotic with its snow carved diamond peaks, mirrored lakes, desert plateaus and sacred monasteries. 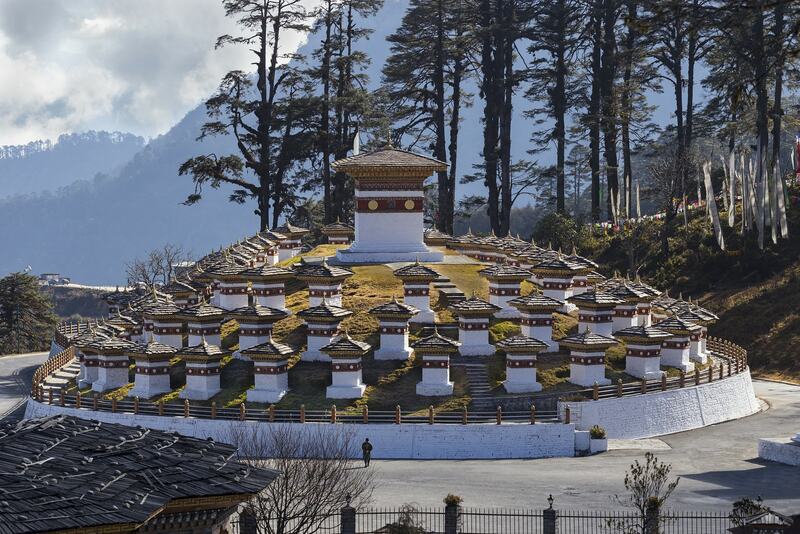 Visit the winter palace of the Dalai Lama, sleep in the foothills of Mount Everest, known locally as Holy Mother and discover the ancient 10th century Kingdom of Guge. 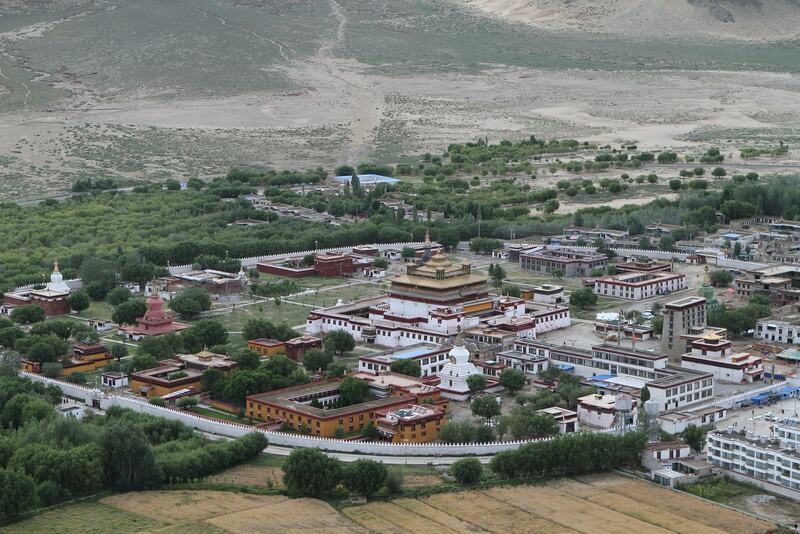 The City of Sunshine is Lhasa, and is a pilgrimage destination for many seeking spiritual awakening beneath the shadow of the mountains. 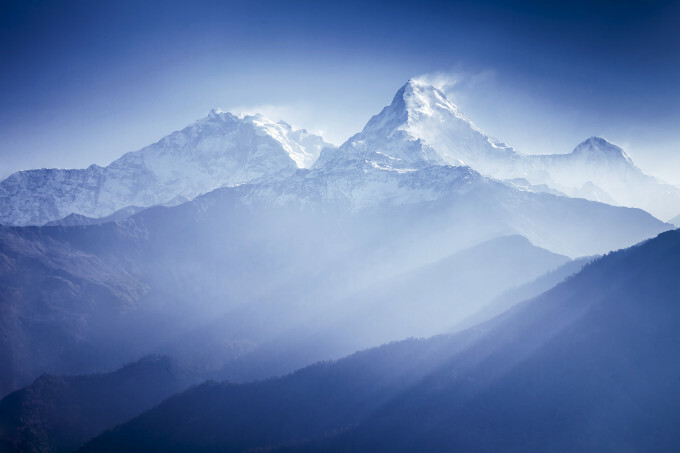 Listen to the melody of rich Tibetan songs, sip a bowlful of Butter tea and watch the bright prayer flags flutter beneath a dazzling blue sky. 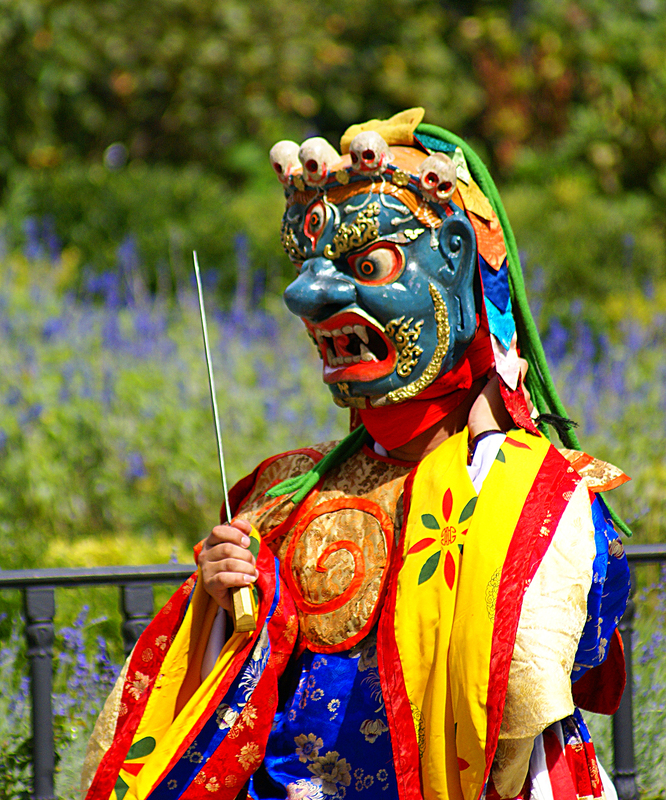 Tibet is a destination brimming over with rare cultural experiences seldom witnessed by the western world and upturning the mysteries of the endless seas of shimmering lakes and the treasures of the snow mountain, you will leave the sacred land refreshed and rejuvenated. 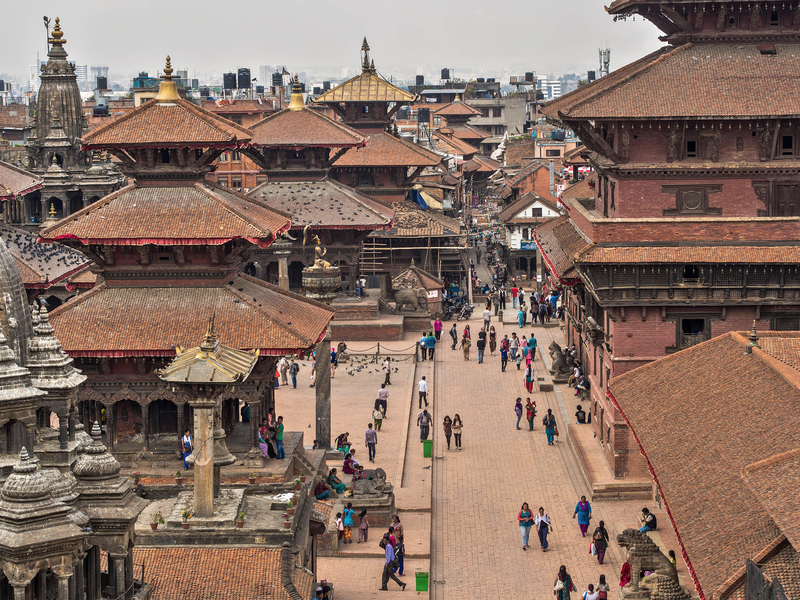 Commercial flying schedules between Nepal, Bhutan and Tibet require good planning and stops. Private jets provide the ideal hassle-free direct transportation for a seamless tour of the three countries. Contact us today to design your bespoke itinerary. About the author: You can connect with Oscar Arce on . © 2018 Presidential Aviation Inc.
All flights are operated by FAR Part 135 air carriers that exercise full operational control of charter flights at all times. Presidential Aviation ("Presidential") is a FAR Part 135 air carrier. Some flights will be operated by Presidential and some flights will be operated by other FAR Part 135 air carriers that have been certified to provide charter services arranged by Presidential and that meet both FAA and Presidential standards.